One of the biggest problems to be faced by a pet owner is the fact that pets tend to play around the house, considering every belonging to be a toy. While this definitely leaves behind pet odor around the house, chances of having to get rid of pet urine is also very high. Owners need to provide their pets with toys so as to keep their belongings safe. Fortunately, such pet toys are quite easy to make, without the need of having to bear added expenses. In this post, we will take a look at some great DIY toys that can be made quite cheaply. 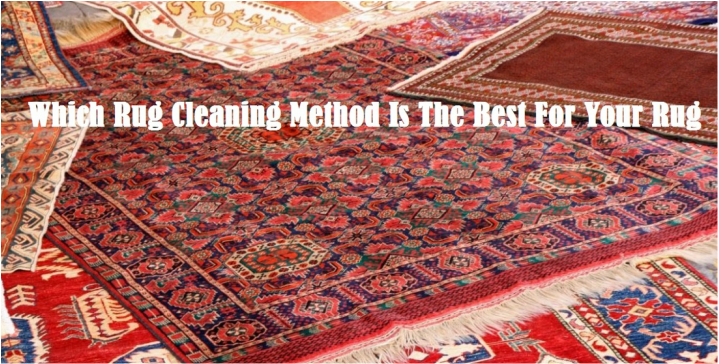 Lots of things are needed to be taken care of while selecting the best rug cleaning method. EKO Carpet & Rug Cleaning Metairie, a rug cleaning company based in Louisiana is revealing details about the best rug cleaning method for users. We are disclosing a method of effective rug cleaning. According to experts, two of the most used methods for deep rug cleaning are dry and steam cleaning. Both of the methods have their own benefits for the rug. Spring cleaning is often viewed as a tiresome chore and many people put it off for later, only to have work pile up. So as to keep things in check and to keep a house looking tidy and manageable, spring cleaning must be taken seriously. While spring cleaning may seem to be extremely challenging, breaking up the tasks and activities and having a firm mind to complete them off is all that is required to get an effective cleaning job done. In this post, we will take a look at some nifty tips that home owners can use to clean their homes on their own. While some aspects of these tips may require professional assistance, most tips are simple and pretty easy to carry through. After revealing the best rug cleaning method, we are now ready with its latest informative post on getting candle wax out of carpet and upholstery. The company offers top quality cleaning solutions at very reasonable prices. According to sources, EKO Carpet & Rug Cleaning Metairie asks users to use a very simple method for removing wax from carpets. Just wait for the wax to harden before cleaning the. Waiting will help to easily remove the wax. When the candle wax hardens scratch away the big chunks in the carpet. We all love our pets, our homes would often feel empty without them but what we don’t love is the mess they can often create. Even the most well behave house trained cat can make a mistake or even kittens still learning to use the litter box will miss the mark. We cannot stop it from happening 100% but we can try to ensure that when it does happen the clean-up is effortless and flawless. No one wants their lovely carpeted home smelling of cat urine. ﻿Everybody knows that regular vacuuming improve the health of your home. Carpet is hiding a lot dirt, allergens and pet dander.When the surface starts to get dirty you already know you have to deal with a lot of hidden dirt.